Journalists from across the UK flocked to the Cholmondeley estate in Cheshire earlier this week to get a preview of the many iconic race and road cars – as well as helicopters, motorbikes and powerboats – that will feature at this year’s Cholmondeley Pageant of Power (15-17 July; www.cpop.co.uk). 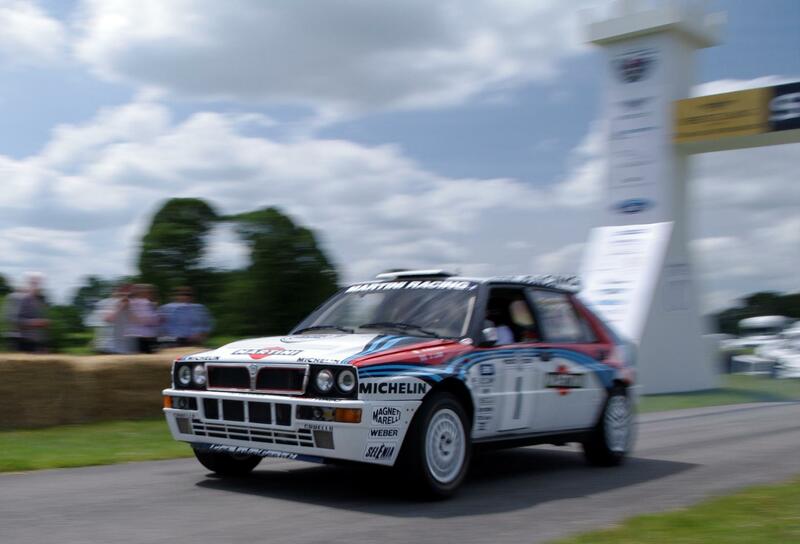 More than 30 classic race and rally cars, as well as a crop of current supercars, completed high speed runs on the Pageant’s 1.2-mile race circuit. Journalists had the opportunity to take passenger rides in the eclectic mix of on-track machinery, take turns in the powerboats, and also get an unrivalled view of the action from a Robinson R44 Raven II helicopter, run by Pageant partner Helicentre Liverpool. The event provided an opportunity for media to see the Lotus 18 driven to victory by Sir Stirling Moss at Monaco in 1961, believed by the legendary race driver to be his greatest ever race. Visitors also had the chance to be driven in, among others, the recently-restored Lindner Nocker Low Drag Lightweight E-Type. The car crashed in 1964 at the Montlhéry circuit in France, and was so badly damaged that a complete restoration was thought to be impossible. After 47 years and more than 7,000 hours of careful restoration work, the car proved to be one of the most breathtaking exhibits on the day. Among the noisiest, and most popular, vehicles offering passenger rises were the Group B rally cars – amongst them a 183 Audi Quattro A2, 1986 Ford RS200 and the Lancia Delta Integrale WRC. Other cars available at the media preview included a 1955 Mercedes Benz 300SL, 1962 Ferrari 250 GT SWB, 2003 Le Mans-winning Bentley Speed 8 and a dramatic Lamborghini LP570-4 Performante. There was also a large collection of two-wheeled machinery, with modern and classic racing bikes making their presence felt on the circuit. The motorcycles at the preview day were many and varied, including such classics as the 1979 Suzuki RG500, a 2007 Hasaberg FS650 Supermoto DCR, and a 1972 840cc Weslake side-car. A bike of a different character was also doing the rounds on one of the Cholmondeley lakes – the wetbike made famous by James Bond 007 in ‘The Spy Who Loved Me’. 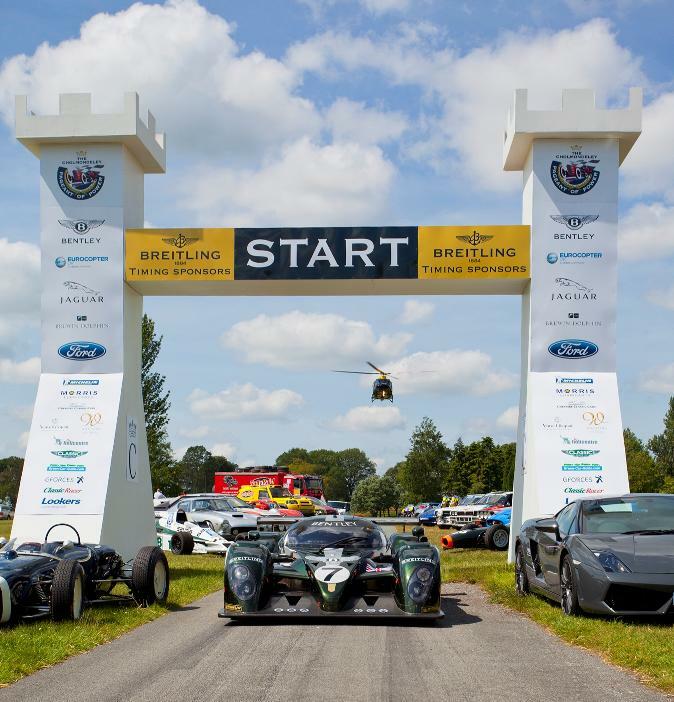 The Cholmondeley Pageant of Power takes place from Friday 15 to Sunday 17 July on the Cholmondeley Estate near Crewe, Cheshire, and is the biggest celebration of power and speed in the country. As well as the track action helicopter demonstrations and thrilling lakeside views, visitors to the event in July will also get the chance to see the British Army and RAF in a dramatic military combat power display – the only one of its kind in the UK. The Pageant was created to celebrate power and performance in its many forms, and won the Best Tourist Event in Cheshire in 2010, drawing in more than 50,000 visitors. Establishing an impressive reputation as a major automotive event and unbeatable family day out, ticket booking details and further event information can be found at www.cpop.co.uk or by calling the ticket hotline on 01829 772 432.